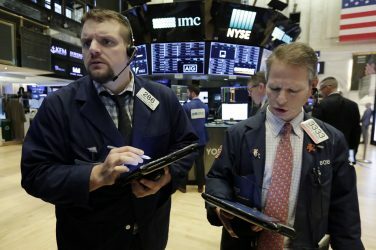 NEW YORK (AP) — U.S. stocks are higher Tuesday as energy companies rise with oil prices and technology and industrial companies bounce back from sharp losses the day before. General Electric is jumping after it said it will shed its health care business and its majority stake in oil services company Baker Hughes over the next few years. Banks and other financial companies are down. KEEPING SCORE: The S&P 500 index gained 10 points, or 0.4 percent, to 2,727 as of 1 p.m. Eastern time. It fell 1.4 percent Monday, its worst loss since early April. 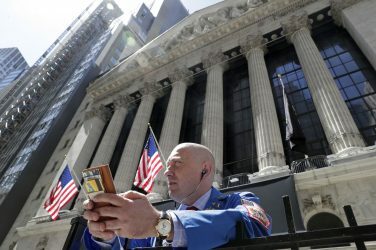 The Dow Jones Industrial Average gained 80 points, or 0.3 percent, to 24,333. The Nasdaq composite added 47 points, or 0.6 percent, to 7,579 after it plunged 2.1 percent a day ago. The Russell 2000 index picked up 11 points, or 0.7 percent, to 1,669. ENERGY: Oil prices jumped as the Trump administration said it’s pressuring allies to stop importing oil from Iran. If that happens, it would reduce supplies, and other countries would have to pick up the slack. Benchmark U.S. crude added 3.3 percent to $70.33 a barrel in New York. Brent crude, used to price international oils, rose 2.1 percent to $76.10 per barrel in London. President Donald Trump withdrew the U.S. from the Iran nuclear deal in May, so sanctions on Iran’s energy sector will kick in again in November. A senior State Department official says U.S. officials are telling Asian and European governments that they should completely eliminate their oil imports from Iran before the grace period expires on November 4, as the official says the U.S. doesn’t intend to issue waivers. Exxon Mobil jumped 1.2 percent to $80.73 and Chevron picked up 1.1 percent to $124.02. TECH: Apple climbed 1.8 percent to $185.47 and Microsoft gained 1.5 percent to $99.87 while Cisco Systems added 1.6 percent to $42.96. 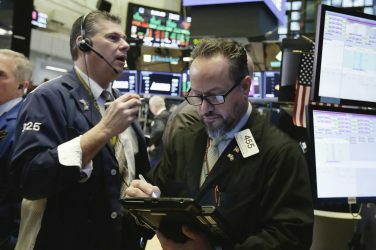 Technology stocks were hammered Monday as investors reacted to reports that the Trump administration might bar technology companies from selling certain high-tech products to China and other countries and limit investment in tech companies by Chinese firms. Stocks recovered some of those losses after a top U.S. trade adviser rebutted those reports. Consumer focused companies also rose. Amazon jumped 2 percent to $1,696.77 and Netflix rose 4.9 percent to $403.43 after they dropped Monday. Homebuilder Lennar climbed 6.3 percent to $52.33 after a strong quarterly report, and its competitors also climbed. An index of U.S. home prices also rose in April as buyers paid higher prices for a small supply of houses. ELECTRIFIED: GE jumped 8.4 percent to $13.82 after the company said it will sell its two-thirds stake in Baker Hughes and also divest its health care business. GE agreed to sell its gas-engine business to Advent International for $3.25 billion on Monday. 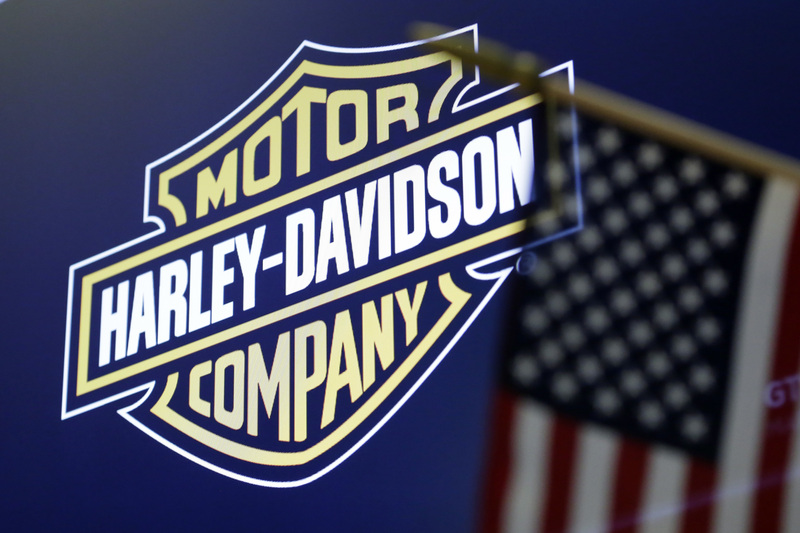 The company has sold numerous major businesses in recent years including its railroad locomotive division, lending unit, its appliance businesses and its stake in NBC. Baker Hughes rose 1.7 percent to $32.99, helped by the move in oil prices. Tuesday was also the first day in 110 years that General Electric wasn’t part of the Dow Jones Industrial Average. BONDS: Bond prices were little changed. The yield on the 10-year Treasury note remained at 2.88 percent. Banks continued to fall, as lower interest rates reduce the profits they make on mortgages and other types of lending. Wells Fargo lost 0.8 percent to $53.51 and Fifth Third Bancorp slid 1.9 percent to $29.50. LONG WAIT: Tuesday marks five months since the S&P 500 and the Dow last closed at record highs. 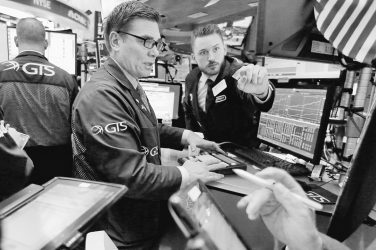 Over the following two weeks the indexes dropped 10 percent as investors reacted to signs of rising inflation and adjusted to the end of a historically calm period in the financial markets. 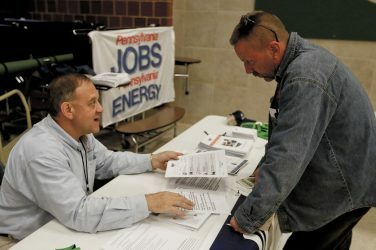 While inflation remains in check five months later, multinational companies like those in the S&P 500 and Dow have also been hit by rising trade tensions between the U.S. and other countries, as well as data showing that the economies of Japan and Europe aren’t growing as quickly as they did last year. The S&P 500 is down 5 percent from its Jan. 26 record and the Dow has fallen almost 9 percent. The Nasdaq, which has a high concentration of technology companies, and the smaller and more domestically-focused Russell 2000, closed at record highs on Wednesday. CURRENCIES: The dollar rose to 110 yen from 109.45 yen. The euro fell to $1.1658 from $1.1704. OVERSEAS: Germany’s DAX lost 0.3 percent and the French CAC 40 fell less than 0.1 percent. The FTSE 100 in Britain jumped 0.6 percent. 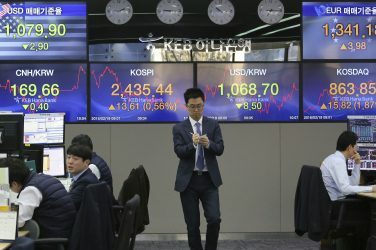 Japan’s benchmark Nikkei 225 index rose less than 0.1 percent while South Korea’s Kospi lost 0.3 percent. Hong Kong’s Hang Seng shed 0.3 percent.